USANA, word! : Are you ready to unite for USANA Celebration 2016? Are you ready to unite for USANA Celebration 2016? Only a few days to go until USANA ‘United’ Celebration 2016 – three days of motivation, inspiration, education and fun! 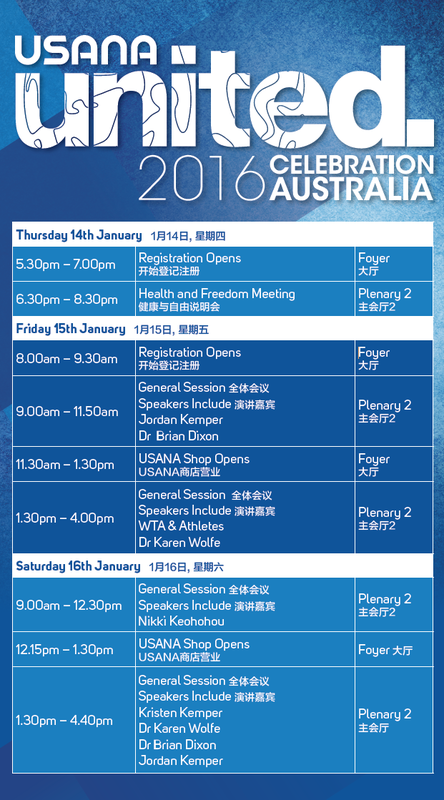 This year’s event will run from Thursday, January 14 until Saturday, January 16 at Melbourne Convention & Exhibition Centre. 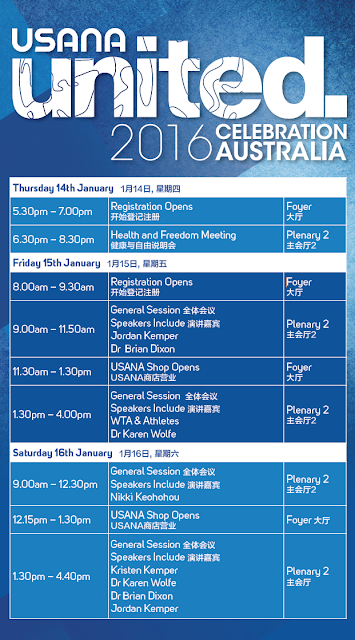 Celebration is the largest annual USANA Australian event and is a superb way to start your 2016 USANA business year on a high!